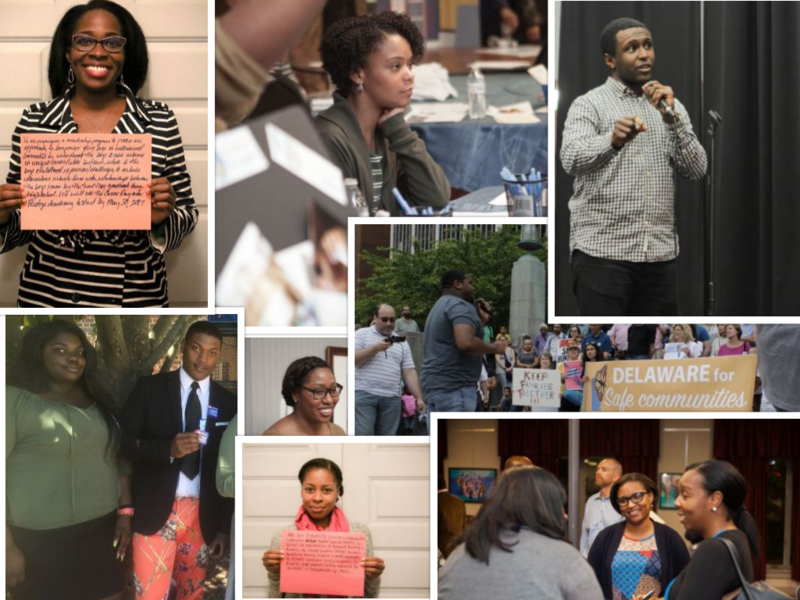 Network Delaware’s Black Organizers Group is for aspiring Black (African-American, Caribbean, African, Afro-Latino) organizers wishing to improve their skills to make an impact for racial justice. This small group immerses participants in the fundamentals of social change organizing, base building, leadership development, and campaign planning. Aspiring Black individuals who want to organize Black communities. This program is ideal for those who want to develop the political analysis and fundamental organizing skills to center Black issues in our state. This program involves a mix of facilitated class discussion, individual reading, involvement in an external “organizing project,” group work, etc.. Below is the full breakdown of expectations. Each participant will get the chance to facilitate at least 1 session of the program. We will provide the curriculum and resources. Only 6-8 individuals will be selected for this inaugural group. Please apply by February 15th, 2019.